Jasmine is a London born student, having completed a degree in English and American Literature at the University of East Anglia. She is primarily interested in studying children’s literature, feeling that it incorporates some of the earliest and most important messages that we send to the younger generations. 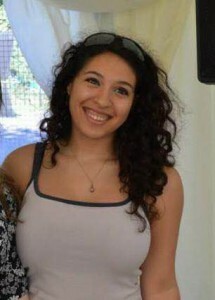 Jasmine is currently working on her masters applications while at an internship in Brighton, and is an avid ice skater. 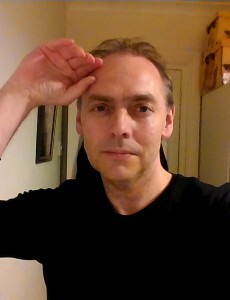 Nick Milton grew up in Nottingham before setting sail for the bright lights of London where he studied and worked as an actor, writer and teacher. In his London days, Nick was involved in the comedy and improv circle, where he rubbed shoulders with people like Russell Brand and Miranda Hart. These days, Nick spends his time teaching and writing and shares our passion for an old fashioned education style; one that embraces curiosity and encourages open ended questions and a desire to look beyond what is contained within the national curriculum. Rather than focussing on the present day’s emphasis on high grades, he is more driven by teaching someone to feel and relate to the world around them and engage emotionally with other human beings. He has always had a passion for politics and global issues and was thrust into the world of education after watching ‘Dead Poets Society’. He has a BA Joint Honours in English and Theatre Arts and a PGCE in English and Drama. 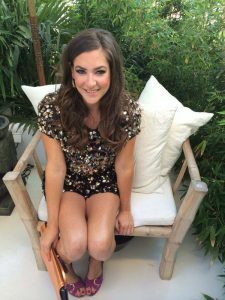 Emma-Louise is originally from Surrey, but her love of travelling led her to live in both Ghana and Ibiza, teaching English and writing for an online publication respectively. In between living in these two countries Emma-Louise settled in London working in TV for ten years. Now she resides in Shrewsbury with her partner and two year-old son running her Marketing and Social Media Management business from home. Emma-Louise’s role for Make Me Aware is to source content and manage the social media accounts as well contributing articles. Commenting recently Emma-Louise said that working with Make Me Aware has led to her developing a keen interest in Global politics and introduced her to a number of different news outlets and resources. 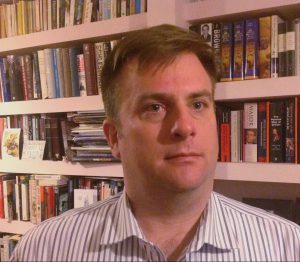 Lewis Baston is a freelance writer and consultant on politics, history and elections. He attended state schools in Southampton and then Magdalen and Nuffield Colleges in Oxford. From 2003 to 2010 he was Director of Research at the Electoral Reform Society, then Senior Research Fellow at Democratic Audit. He has written several books about elections in the UK and political scandals, assisted on other books including John Major’s biography, and is biographer of Reginald Maudling (1917-79). Lewis is a frequent commentator on elections and politics for the UK and international media, published in print editions of the Guardian and the Times as well as online. He has commented on elections and politics for many different broadcast programmes, including BBC TV Politics Show or Sunday Politics and ITN’s London programme, Newsnight, The One Show, The World Tonight, PM, World at One, The Manifesto (Mark Thomas) and others. He has advised Channel 4 News on election coverage since 2008 and in 2015 and 2017 was specialist editorial adviser to the co-produced election night programme on Channel 4. He is a long-standing participant in policy debates about electoral matters, including registration and redistricting and appeared before the Speaker’s Conference on the representativeness of Parliament (2009) and the Welsh Affairs Committee of the House of Commons (2010), and repeatedly for the Political and Constitutional Reform Select Committee of the House of Commons (2011, 2012, 2013, 2015). He has written regular columns in Progress and Conservative Home and occasional pieces for the Guardian, New Statesman, Prospect, Channel 4 News, Labour List, Standpoint and the LSE (Politics and Policy, Review of Books) and other outlets. Want to become a contributor? Contact us here.